Sony has a new PS4 Pro bundle, Google is working on a next-gen operating system for all of your devices, and we've got updates on upcoming hardware from the likes of Samsung and LG – it's all in our daily tech news roundup, courtesy of our friends at TechRadar. 1. Will the Note 9 be the last Note? The latest rumour from the Samsung camp suggests the company is going to move away from its strategy of launching three flagships a year, and will merge the Galaxy S and Galaxy Note lines from 2019. That would mean the Note 9 – due to be unveiled on the 9th of August – would be the last Note, with the bigger S10 getting the S Pen stylus next year. Sony just took the wrappers off a new PS4 Pro bundle at San Diego Comic-Con, and it's perfect for Spider-Man fans, with both box and controller given a striking red-and-white paint job. The console launch marks the arrival of the PS4-exclusive Marvel Spider-Man game, which comes with the bundle, all yours for $399.99 (UK pricing to be confirmed). 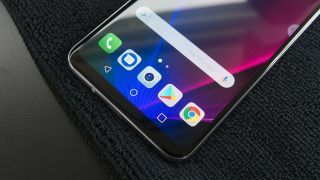 LG isn't done as far as flagship phone launches for 2018 are concerned, and we just heard a few more rumours from those in the know about the upcoming LG V40 ThinQ: namely that there's going to be a triple-lens camera on the back of the handset, and a virtually bezel-free front design. It sounds like it might pack in enough to take on the iPhone XI. Like Microsoft, Google is also said to be working on a next-gen operating system to better suit the variety of devices and gadgets we're all using today. A new report says the OS, currently called Fuchsia, is going to be ready for smart home devices within the next three years, expanding to cover phones, laptops and tablets after that – so watch this space. The upcoming Samsung Galaxy Tab S4 will replace the traditional fingerprint scanner with an iris scanner, according to details discovered in the device's firmware – and that of course means the bezels around the display can be shrunk down further. The device is rumoured to see the light of day before the end of August, when we'll find out for sure.